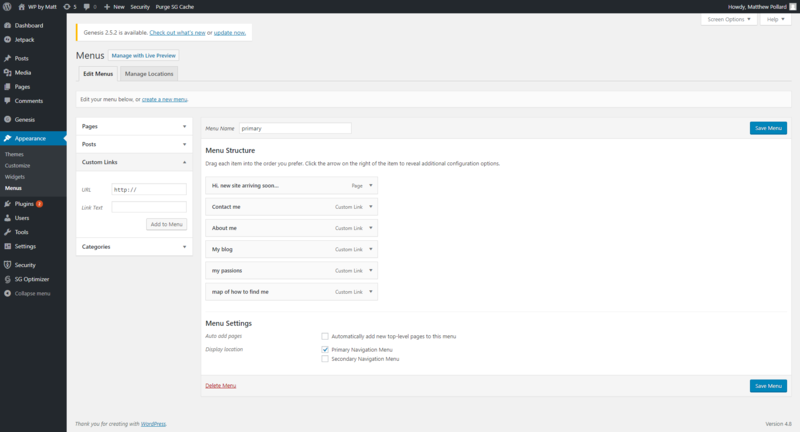 So I know how to limit the number of top level menu items, on the front end of WordPress websites using php. I would like to know how to do this in the backend/ admin area for menus. This will prevent saving the menu if top level menu items are more than 6. They can add more but will not trigger save, instead will show a warning that 'Top level menu Items are limited to 6!'. Hi Reigel, this is almost what I wanted thank-you. It displays the warning message only once, however, so if the user decides to keep adding more than 6 top level menu items, the warning is not displayed again for the 8th, 9th etc top level menu added. I would like it to display the warning every time the user adds another top level menu item, not just for the 7th added? Sorry having tested it again, it's 100% perfect so thank-you. Please ignore the comment above.